Advice from the Experts at Salters: What's Your Dog's Problem? manufacture. For example, wheat, barley, oats can be a cause if itchy skin along with chemical stabilizers. At Salters we do not use the above grains simply to avoid this potential problem and, therefore, those dogs that have these symptoms can easily overcome the problem by switching to Salters, as our ingredient base and mixture is put together with both gentle purity and chemical free naturalness in mind, for the prolonged good health of your dog. Where the gut is irritated by a food ingredient/material once again this can come from certain grains and synthetic chemicals, which may well be found in some foods. Here at Salters we are generally able to overcome these issues simply because we don’t use these ingredients/materials that are potential problems for some dogs. 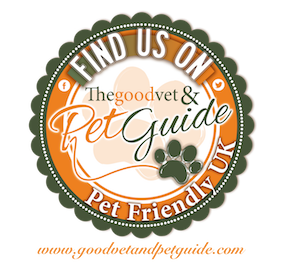 We have a fantastic track record of people with dogs that have stomach issues which has been corrected by simply feeding Salters and by following our recommended feeding guide, 10% either way on our guide will comfortably suit most dogs and for those who are a little different, please call us, we are happy to discuss. Diets for Dogs who are sensitive to certain Qualities and types of Ingredients that can cause Dull Coats and loss of hair. If the quality is not in the ingredient base/mixture the best results may not be achieved, and reactions soon show in our dogs. Salters have for many years had so many owners compliment us on how their dogs have improved coats and regrowth of new hair/coat. Glossy coats are something that Salters are well known for, if you use great ingredients you get great results, hence using proper chicken meat, extra virgin olive oil, and lovely rice, not the “dust and dross” the same yeast that makes our vegetable spreads without nasty chemicals, colour and flavor enhancers, we do not use or need them! Temperament issues in dogs may come from diet ingredients….. Making dogs sensitive to certain foods. This can quite easily be a genetic problem, but quite often it is food/chemical related. Many dog trainers have issues with dog food because of the stimulants that maybe found in them. This can start with materials used for the manufacture of dog foods that may be stabilized with chemicals, it may also be a reaction to a grain ingredient or a treatment of any of the ingredients that go into manufacturing. Salters has carefully selected its ingredients by simply not choosing any problematical ingredient and solely dedicated the recipe to purity and complete balance. Salters strongly recommends that you add nothing else to the feeding guide. Given we are happy to supply treats for training purposes to ensure that everything going through your dogs system is of our purity.